Borough President James Oddo and Councilman Joe Borelli withdrew support for the planned retail complex, Riverside Galleria, over concerns it will flood local streets with traffic. CHARLESTON — Borough President James Oddo and Councilman Joe Borelli withdrew their support of a planned waterfront retail center because of the gridlock traffic that they say it will bring to local roads. 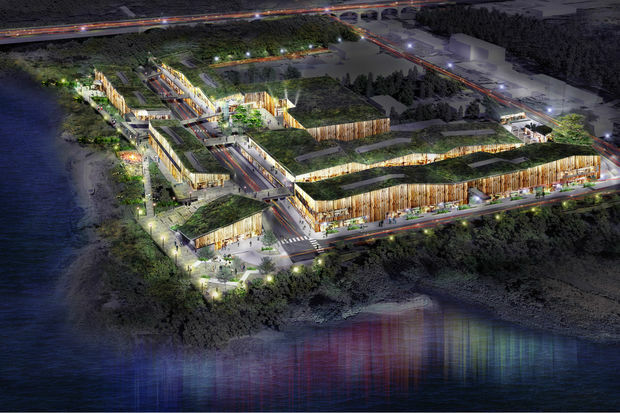 Developers for Riverside Galleria, a 470,000-square-foot place proposed on Arthur Kill Road near the Outerbridge Crossing, submitted a plan to mitigate the traffic, which included widening Arthur Kill Road, but it didn't ease Oddo and Borelli's concerns. "Frankly, I have no faith in the traffic plan presented to us, and the threat of a weekly Saturday morning traffic Armageddon along Arthur Kill Road easily outweighs the value of reclaiming this stretch of waterfront and the other comparatively limited positives I saw as potentially emanating from this project," Oddo said in a statement. "The project simply won’t work, and I cannot support a plan that has such obvious downsides with limited upsides." The councilman said that one impact study estimated that the project could draw nearly 200 cars to area roads. Riverside Galleria will include stores, restaurants, a cafe, a dine-in movie theater with a rooftop bar and more. Plans also call for a waterfront park — with access for cars and pedestrians to the water — and a wetland and nature preserve, developers previously said. The project was voted down by Community Board 3 on Tuesday. It will now move through the borough president's office, City Planning, City Council, and finally the Mayor's Office for approval before they can start construction.